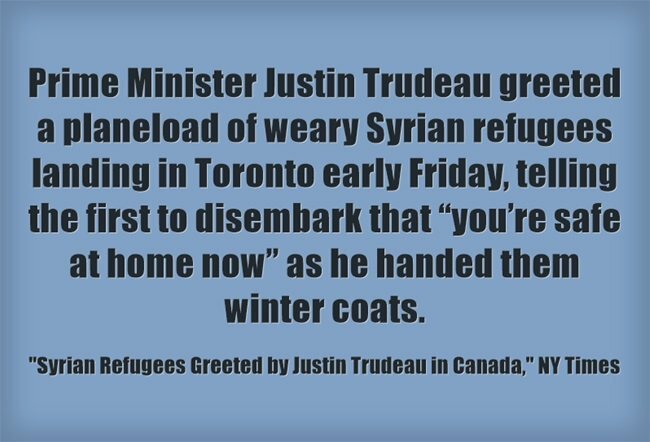 Canada welcomed 163 Syrian refugees on Thursday night – the first of 25,000 they are accepting. Here’s an excerpt from a New York Times article about their arrival, along with a video Vox shared. I’m adding this post to The Best Sites For Learning About World Refugee Day. If you can’t see the video embedded, go directly to the original Facebook link here.